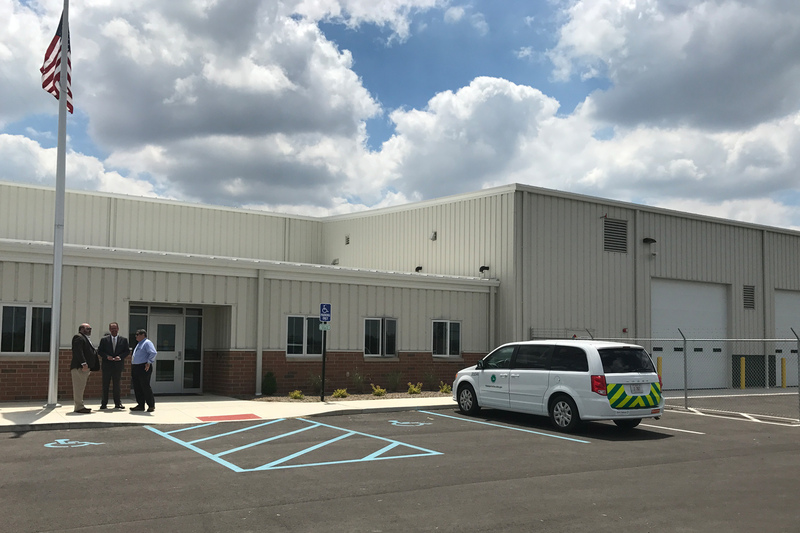 The Ohio Department of Transportation Full Service Maintenance Facility in Darke County contains combinations of multiple functional areas on a new 8.5-acre site. 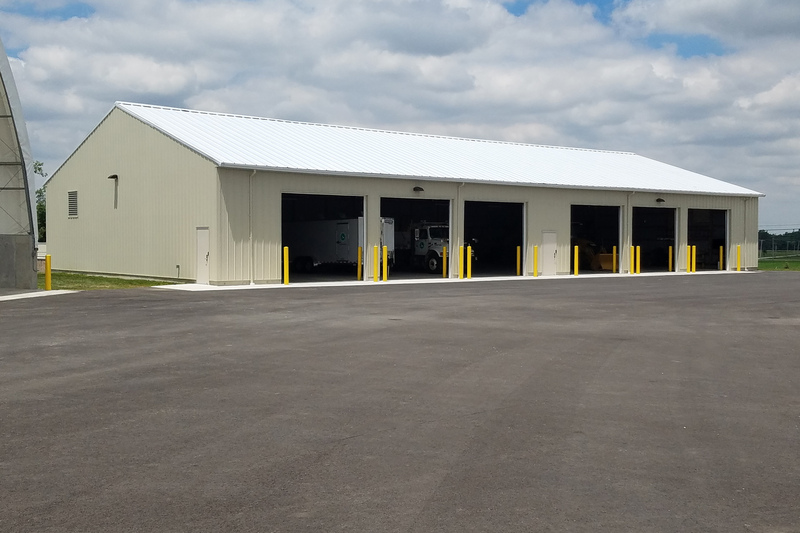 The main building includes office space, a maintenance area, and a large 29,566 SF truck storage and wash area with a double drive-thru wash bay and space for 22 vehicles. 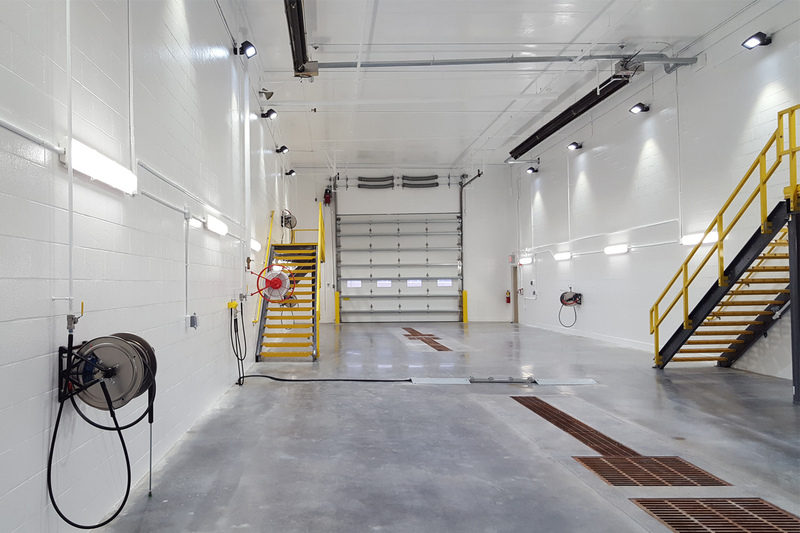 The maintenance area has an in-ground lift system, fluid dispensing and bridge crane system. 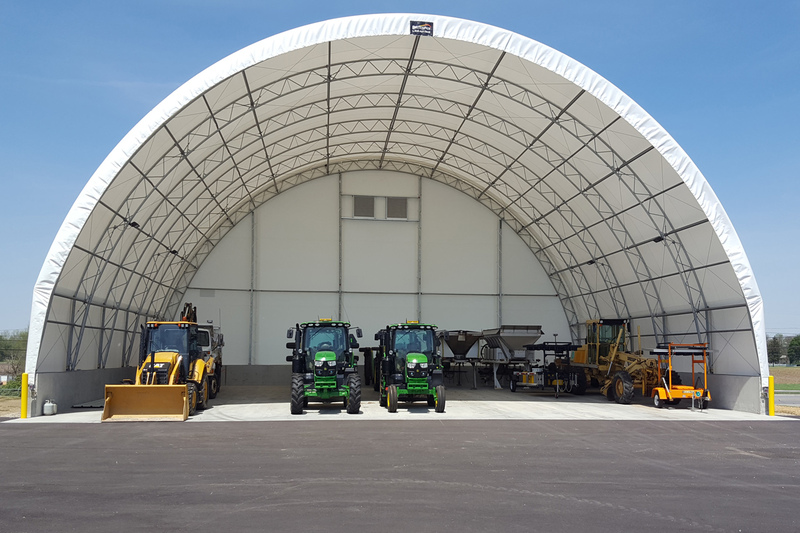 The fully enclosed tension fabric salt storage building includes covered brine mixing and tank storage. 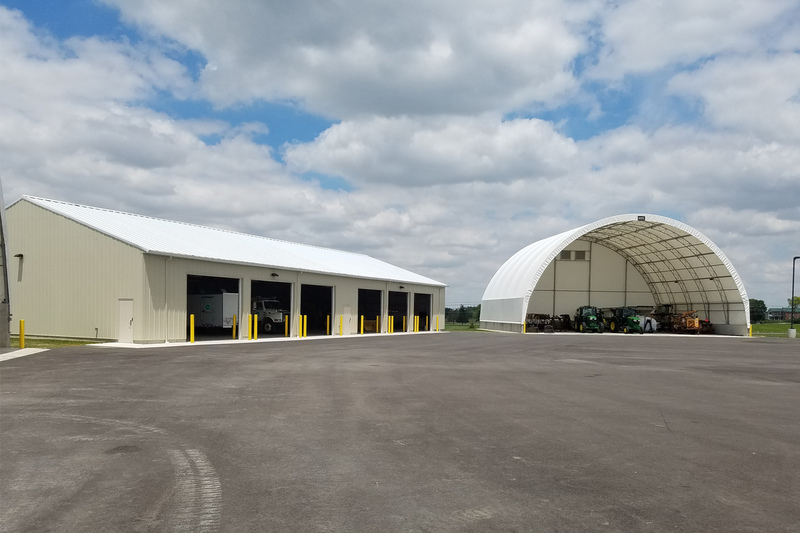 The site also includes two cold storage buildings, a wood-frame covered structure with six bays and an open tension fabric covered structure. 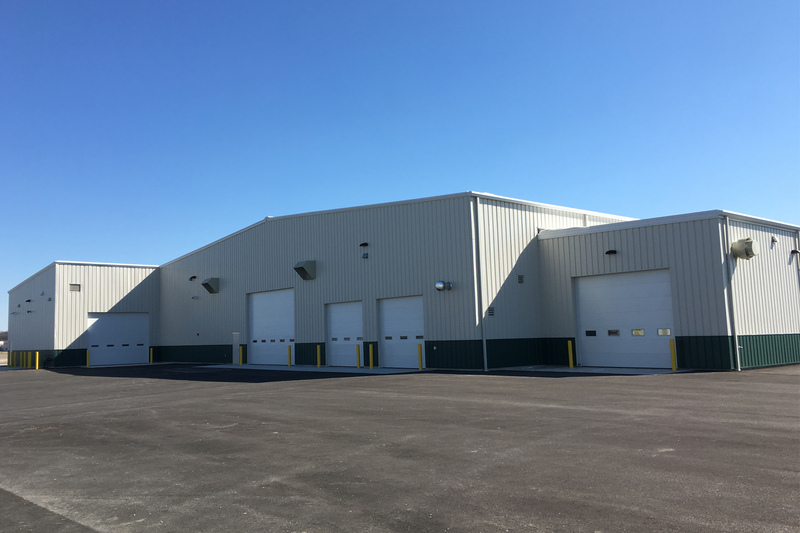 There is also a separate tension fabric covered materials storage building on the site. Completing the site is a fueling island consisting of a 2,000-gallon gas/6,000-gallon diesel split tank and dispensers. Site utilities, site grading, a detention pond, parking lots, drives, fencing and gates were all included with this project.